In light of the EU Anti-trafficking Day, the issue of orphanage trafficking is being examined at a high-level discussion hosted by the Cabinet of Neven Mimica, Commissioner for International Cooperation and Development in partnership with Lumos. There is a growing body of evidence demonstrating how girls and boys are trafficked in and out of orphanages and other institutions. These children are often unregistered and uncounted – leaving them exposed to the risk of trafficking. EU Commissioner for International Cooperation and Development, Neven Mimica: "The EU is firmly committed to fighting trafficking in human beings all around the world, and in particular of girls and boys. Our new child rights Guidelines are paving the way to better protect children against violence or exploitation. In Haiti for example, we are working closely with the authorities and Lumos to put an end to institutional practices that are harmful to children. And we will continue assisting other partner countries to do the same. For the benefit of all our children and grand-children and for the well-being of our societies." 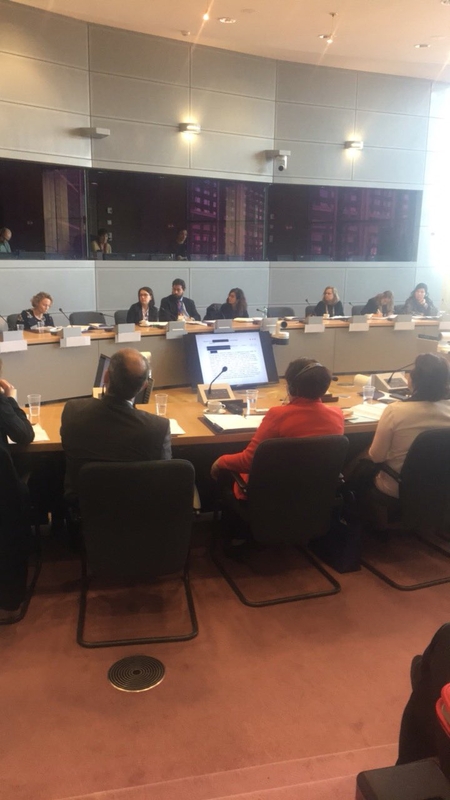 The discussion provided an opportunity to explore the links between institutionalisation and trafficking, with a particular focus on new research and developments uncovered by Lumos in Haiti, Nepal, Kenya and beyond. The aim is to understand how EU external action with partner countries can address the issue in its policies and examine the funding of the process. Participants in the discussion included high-level representatives from the European Commission, European Parliament, and representatives of the Haitian government, Lumos, European institutions and civil society.